On behalf of Admin of JML Law, A Professional Law Corporation posted in Car Accident on Wednesday, Oct 24 2018. If you own a car in Riverside or elsewhere in California, you have probably noticed that many drivers in the state forget or fail to use their turn signals or use them improperly. And while California law considers it a violation of traffic rules to not use turn signals, many motorists in the state fail to properly communicate their intention to turn right or left, which poses a risk of injury not only to themselves but also other drivers on the road. Failure to use turn signals or using turn signals improperly can result in a motor vehicle crash. “More often than not, failure to properly use turn signals – or not using them at all – leads to a rear-ending accident or a crash with an oncoming vehicle traveling straight,” explains our car accident lawyers Riverside at JML Law. Needless to say, collisions caused by a driver’s failure to use turn signals or using a signal to turn in one direction when, in fact, the driver is driving in the opposite direction can lead to severe injuries, including but not limited to brain or spinal cord injuries and back injuries, fractured bones, and others. More often than not, if you suffered injuries in an accident where a car driver failed to use a turn signal or used a turn signal improperly, you will need to establish that driver’s negligence by seeking legal advice from an experienced car accident attorney in Riverside. Let’s review this classic example that happens on Riverside roads and highways all the time. Car driver A is using a turn signal to indicate that he will be turning right, but he does not actually turn right. Car driver B, meanwhile, is planning to turn left. Car driver B turns left, and car driver A crashes into him. In that situation, car driver B will most likely be at fault for the accident. Our Riverside car accident attorney at JML Law explains that in the above situation, car driver B was the one facing a stop sign. In California, cars at stop signs are legally required to yield to cars that do not have stop signs. After the car crash, car driver B may argue that car driver A indicated that he was turning right, but did not turn. However, as annoying and frustrating as it might sound, his argument will most likely be dismissed. One of the best tips for similar situations is to actually wait and make sure that the driver is turning in the direction he or she indicated with the turn signal. Also, do keep in mind that California Vehicle Code mandates the use of turn signals in a number of situations. How to establish fault in a car accident involving the improper use of or failure to use turn signals? Failure to use a turn signal exposes the driver to liability. 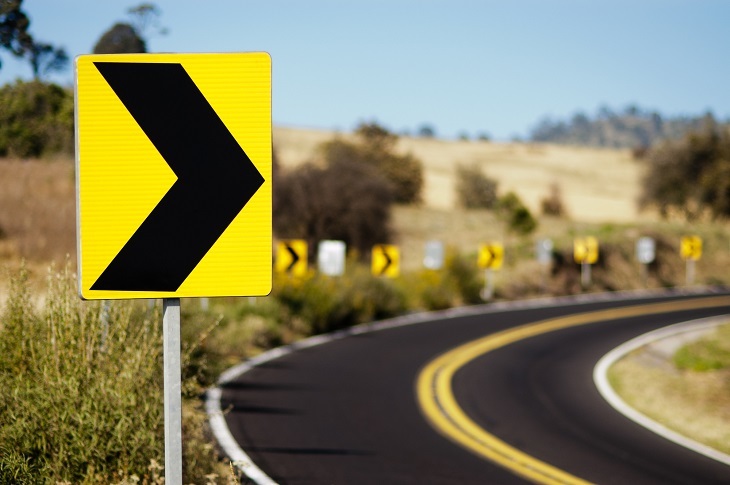 In fact, under California law, drivers are legally required to signal their intention to turn left or right continuously during the last 100 feet traveled before making the turn. If your signal lamps stopped working in the middle of your trip and you have to indicate that you will be turning left or right, California law requires you to give a hand and arm signal. Failure to follow these rules can make you liable for another party’s injuries and your own injuries. Let our car accident lawyer help you establish negligence and fault in your particular situation. Schedule a free consultation with JML Law by calling at 818-610-8800.